October 15, 2012; 01:29 I'm trying to figure out what Mami is doing here. Trying to hand the gun to someone? I mean just shoot him. October 15, 2012; 04:56 It's a parody of namasu-e, an sub-genre of ukiyo-e that focuses on hunting giant catfish. 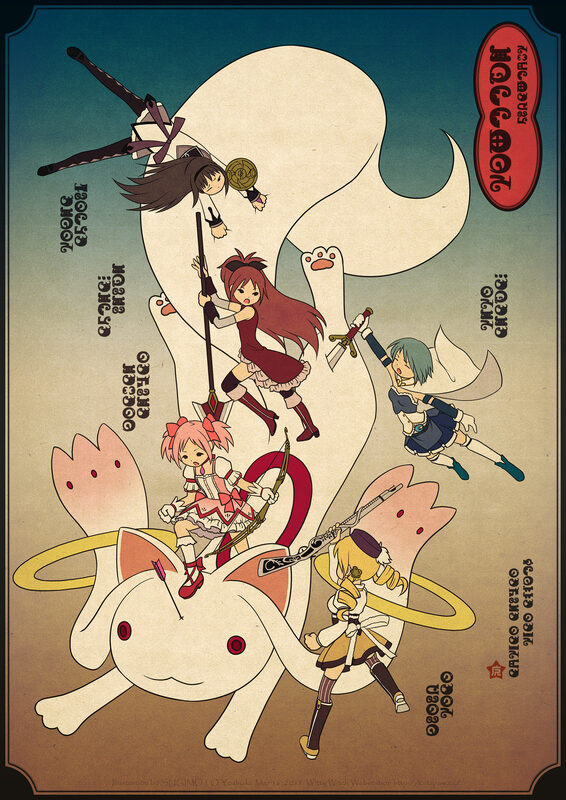 I think this may be directly based on an actual work in which Mami's counterpart is using a spear. October 16, 2012; 15:14 Ahh, that makes much more sense then.